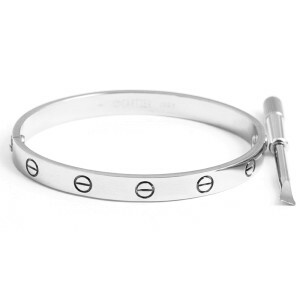 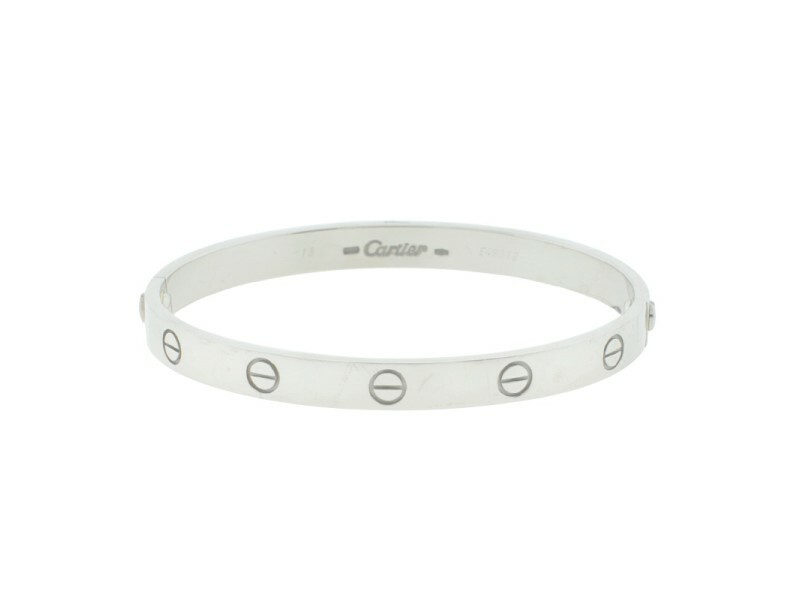 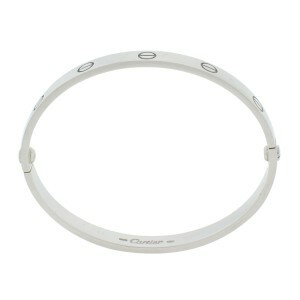 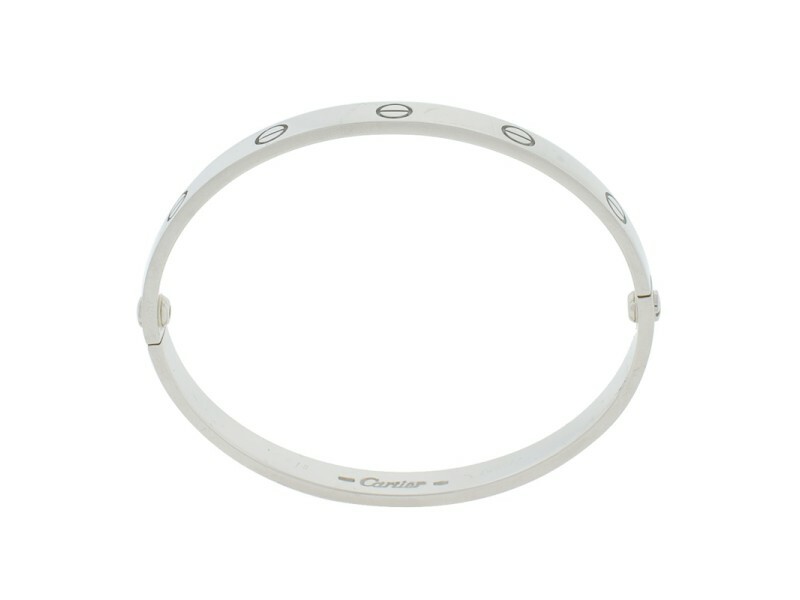 This Cartier Love Bracelet in white gold is a classic, highly coveted Love bracelet by prestigious jeweler Cartier. 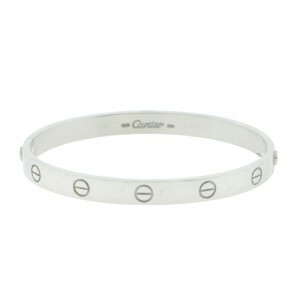 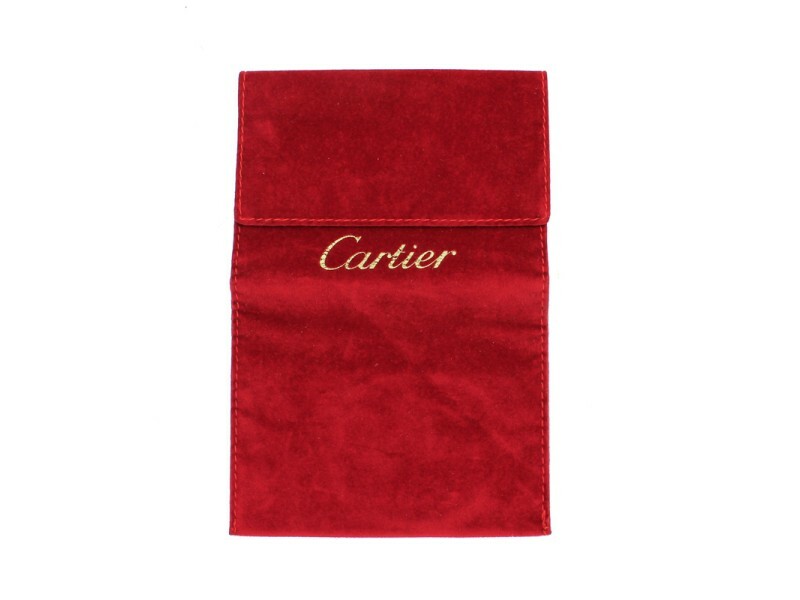 This beautiful bracelet is a signature Cartier piece, and can be worn day and night. 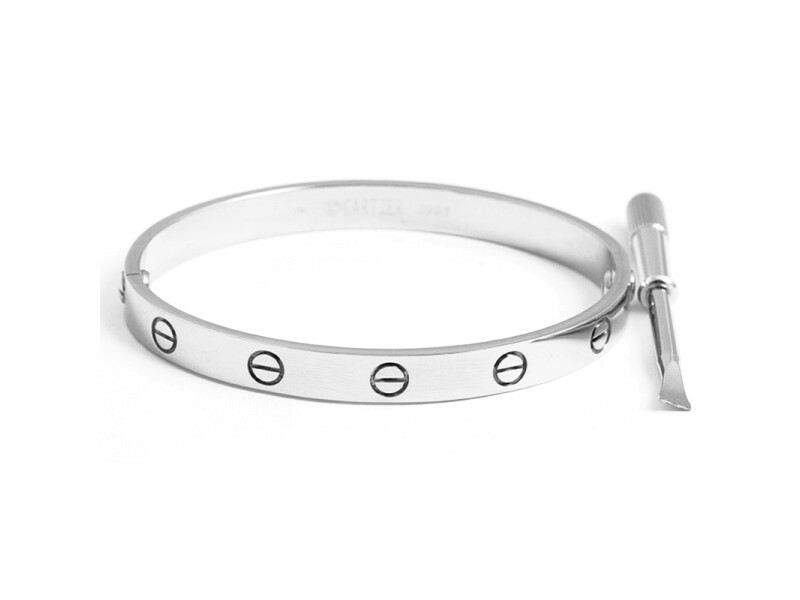 This bracelet was designed by Aldo Cipullo, a legendary Italian jewelry designer who worked for Tiffany & Co. and David Webb before joining Signed Aldo Cipullo, Cartier.